Aliens might have been carried to Earth on space dust, according to new research. Bugs might have flown across the universe and onto our own planet, scientists have said. And bugs from our own planet might have made the same journey, flying off of Earth and onto other planets elsewhere in the galaxy. The theory could even help explain how life began here, suggesting that it was carried from elsewhere in space then flourished in Earth. That’s according to British scientists who have studied powerful flows of interplanetary dust that can travel through space at up to 70 km (43.75 mph) per second. They calculated that small bio-particles floating high in the atmosphere at an altitude of 93 miles (150 km) or more could be knocked free of the Earth’s gravity by incoming space dust. Eventually the tiny organisms could reach other planets in the solar system. 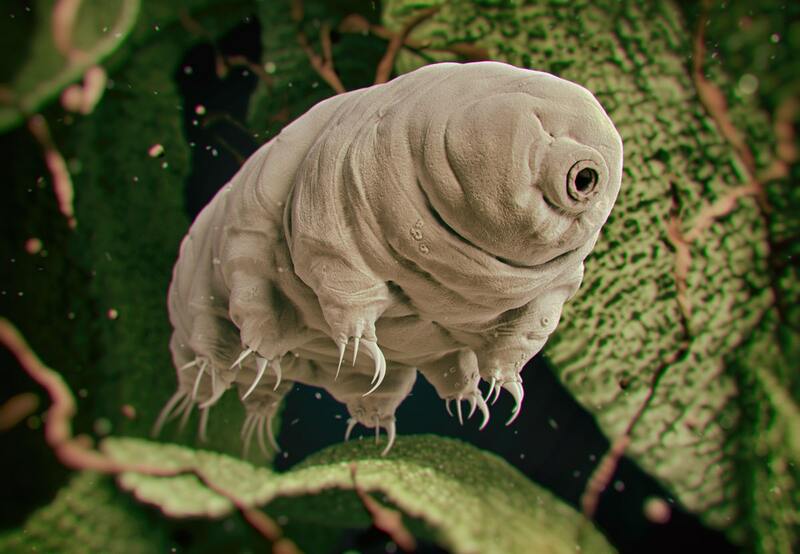 Some bacteria, plants and even hardy micro-animals called tardigrades are known to be capable of surviving in space. The same process could occur in reverse, bringing extraterrestrial bugs to Earth and possibly helping to seed life on the planet, the scientists believe. Study leader Professor Arjun Berera, from the University of Edinburgh’s School of Physics and Astronomy, said: “The proposition that space dust collisions could propel organisms over enormous distances between planets raises some exciting prospects of how life and the atmospheres of planets originated. Previously scientists have considered the possibility of impacting asteroids and comets importing life, or the raw ingredients of life, to Earth. The new research, published in the journal Astrobiology, was part-funded by the Science and Technology Facilities Council.